Welcome to Five at Five, your late look at the payments and commerce news of the day. 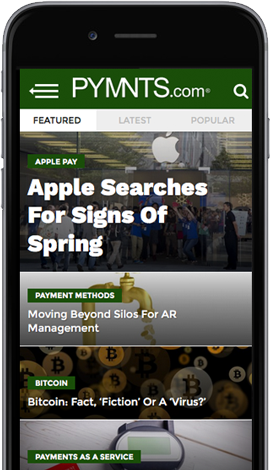 Coverage includes eBay entering a new relationship with Apple Pay, MoneyGram and Visa announcing a new P2P partnership, Amazon expanding its Whole Foods Market delivery service to new Florida and New York markets, Synovus Financial acquiring FCB Financial Holdings and Ford Motor Co. launching a new self-driving unit. After moving away from its prior relationship with PayPal, online marketplace eBay has announced a new relationship with Apple Pay. The Apple Pay option will initially roll out slowly to a small group of select marketplace customers. MoneyGram and Visa announced a partnership to deliver real-time digital disbursements to MoneyGram customers using the Visa Direct push payments platform. The partnership is set to begin in March in Mexico and the Philippines. Amazon Expands Whole Foods Delivery in NY, Fla.
Amazon is expanding its Whole Foods Market delivery to new locations in New York and Florida. The organic grocery will now offer deliveries in New York City, Long Island and the Florida markets of Fort Lauderdale, Miami and Palm Beach. Synovus Financial announced that it has acquired FCB Financial Holdings, the state’s largest community bank, in a deal valued at $2.9 billion. Synovus said the agreement will make it a top five regional bank, based on deposits. Ford Motor Company said it has created a new self-driving unit called Ford Autonomous Vehicles, and plans to invest about $4 billion into the business through 2023. The automaker said the new unit would be charged with accelerating the new business.